Over the last few months I have migrated most of my stuff to Linux, which of course ReShade doesn't support. Only games left on windows are things that don't play well with Steam Proton yet, which also happens to be a lot of games that don't need/can't use ReShade. A majority of these points will still probably apply through future ReShade updates, but any exotic new issues won't be able to be covered here anymore. By default the ReShade forums don't have some type of faq/"common issues" thread, so I'm making one to (hopefully) prevent a majority of duplicate threads from appearing. 1a. Firstly, The Depth Buffer turns itself off during network activity to prevent exploitation of competitive multiplayer games. This causes depth-related effects to either flicker or not work at all, and *may* even apply to single-player games modes with weird internal server setups. There is, however, a workaround to that. If you build ReShade from source, you can comment out the line that activates the network check to bypass it. ...or if you have no idea what I just said/hate setting up a dev environment, you can probably find someone else's ReShade.dll build somewhere. 1b. 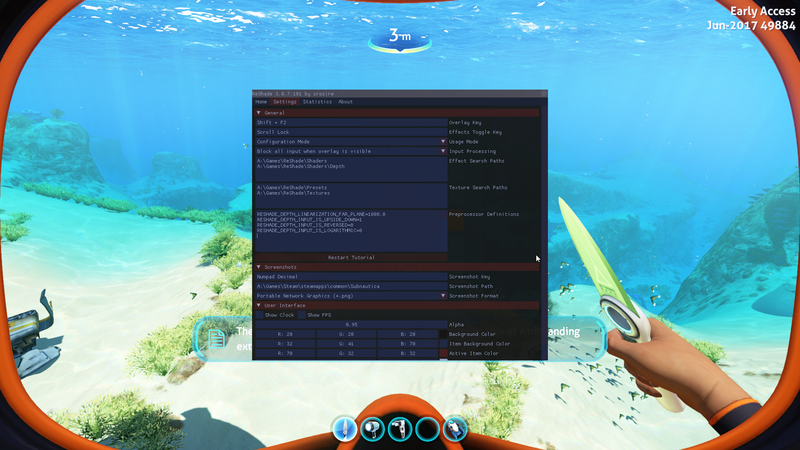 On top of all that, certain in-game settings such as MSAA can disable the Depth Buffer, so you'll need to turn those off if they cause problems. The depth buffer also has some settings in the Preprocessor window to help with any issues encountered. 1c. If Display Depth shows an upside-down image, set RESHADE_DEPTH_INPUT_IS_UPSIDE_DOWN to 1. 1d. If Display Depth show the image with the close objects being white instead of black, set RESHADE_DEPTH_INPUT_IS_REVERSED to 1. 1e. If Display Depth shows nothing and the previous solutions didn't help, you can try setting RESHADE_DEPTH_INPUT_IS_LOGARITHMIC to 1. 1f. One thing to note is that the Depth Buffer often excludes some things such as the user interface, so you may see MXAO or DOF blurring on top of them. For games whose UI's don't change you can use the UI mask shader to prevent the effects from applying to it. A2. Overlays, be it MSI Afterburner, Steam, or anything in-between, can cause issues. The ones I've personally experienced are a CTD on startup and ReShade not launching with the game. Try disabling these first if you have problems with the application itself. -to inject the .dll into the game, which has worked in every single instance for me so far. Problems in the *extra* annoying category. 3a. Bans. Despite what you may think I have yet to come across a single confirmed case of someone being banned from an online game solely due to having ReShade. While I can't guarantee anything, I use ReShade in most of my multiplayer games and have never once received a ban/complaint as a result. 3b. If you're extra unlucky, the ReShade installer may not even work. This is usually due to a bug apparent in RivaTuner/MSI Afterburner, so try turning those off first. Also, remember that you can extract the .dll's with CTRL-Click, meaning you only need to get the installer to work once. 3c. If you don't want to make one yourself, you've probably gone to look for other user-made presets and noticed majority are for past ReShade/SweetFX versions. ReShade 3 actually has most (and probably all) of the shaders you'll need, so converting the preset is as simple as applying the same settings to the same ReShade 3 shaders as were in the old preset. If someone out there has some spare time you could probably write a script to do this automatically. All it'd take is some regex knowledge. Alright, so you've read through all the relevant sections and still have a problem. *Now's* the time to make a post in the "Troubleshooting" forum, and make sure to mention that you've gone through this guide to no avail. Please don't post unsolved problems on this thread. Alternatively, if you can think of any common solutions you're tired of telling people, let me know and I might add them to this post. Note to webmaster: Why is there no way to indent lines without no-break spaces? Last Edit: 5 months 1 week ago by FierySwordswoman. Might want to add to the depthbuffer section that if some depth depending effect bleeds through objects, there's nothing to be done about it because if an object doesn't show up in the depth buffer, it's invisible to any depth shader. -to inject the .dll into the game, which has worked in every single instance for me so far." (1) Install Rehade. i.e. 3.0.7 into the game file (say it is dxgi.dll and dxgi.ini). (2) Install ENBInjector.exe and enbinjector.ini into the game file. The ENB injector version I got is v0004. (3) Activate ENBInjector and then start the game. I tried the above procedure with Moto Racer 4, but no luck. Last Edit: 1 year 10 months ago by Mike Gous. Nice work FS, we need something like this. 1b needs to be more specific though. There are a number of things that can prevent the depth buffer working. MSAA is one, other experts here may be able to provide the others. The only other thing I know that affects the depth buffer in any way is HUD. GTA V for example has a white square in the depth buffer when the minimap is enabled. 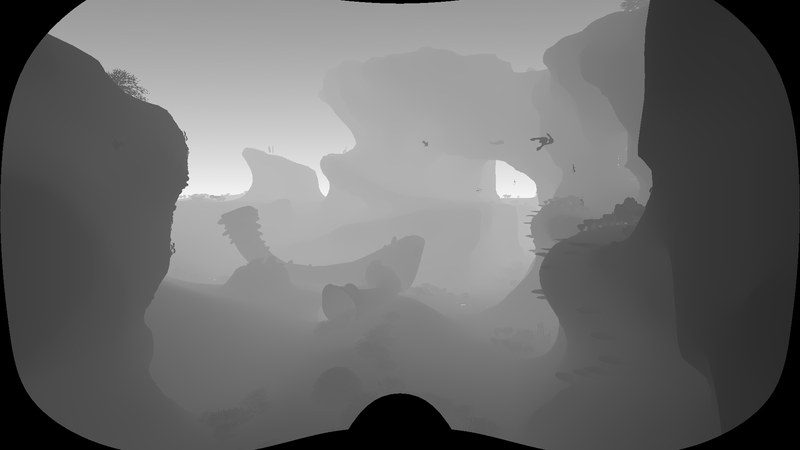 Besides that, I know of no game option that could affect the depth buffer. ENB Injector only works for 32-bit dll's. Most helix mod fixes over at the nvidia forums can unlock depth so most of the time that wouldnt be a prob anymore. Is there a step by step guide on how to use reshade dll via enbdev? If you mean using the injector, then no, not that I know of. Last Edit: 1 year 6 months ago by FierySwordswoman. Currently this still doesn't do the trick for me in Stardew Valley. I launch the injector succesfully, but I can't call up the menu in the game and no active presets are parsed into the game. No overlays active, everything is correctly installed, etc. Windows 10, of course. Admin or compatibility mode don't help out either, as does installing older DirectX libraries into Windows itself. I've tried to uninstall Windows 10 Game Mode, as some indicate problems started happening after the Creator's Update, but unfortunately I can't do that. I disabled it, best I could do. It's still active in memory regardless. Last Edit: 1 year 3 months ago by Tricky. Another issue I would occasionally have is the Toggle Key not working and Reshade turning off as soon as I exited the Reshade Menu. Digging through the forums I found, for some reason, that the Magic Bloom shader being last in your load order can cause this. Sure enough moving Magic Bloom earlier in the load order fixed it. Not sure if it's an issue with the Magic Bloom shader itself but this had been driving me crazy forever. this seems to be my problem, how do I change my load order? ah, where exactly? which folder? EDIT: Essentially you should be able to drag the list of active shaders around by simply grabbing them and moving them above or below the other active shaders to determine the best load order. Last Edit: 1 year 1 month ago by JBeckman. Yes, THIS! Getting your load order right is essential. For instance if you have the Curves shader loaded after MXAO it will affect the darkness of you shadows. Also, if you really want Magic Bloom to be last in your load order, like I typically do, you can always enable either Show FPS or Show Clock from the Settings Menu since apparently those will load very last. I like loading the clock just so I know when it's time to take a break for things like meals and bedtime. I have a quick question and I though I'd rather post here than litter the forum with a new thread. Do I understand it correctly that to install Reshade for several games that you have installed, you need to run the installer for each game? Does that create new Reshade profiles for each of the games, or will installing it for another game replace/delete the previous installation for another game? Yes, you have to install to each game separately, and those installations are independent from each other. Thank you for the reply. I can't make it work for Euro Truck Simulator 2 for some reason, but it works fine for iRacing, so I thought maybe the installation for the latter was the reason it wasn't appearing in the former.